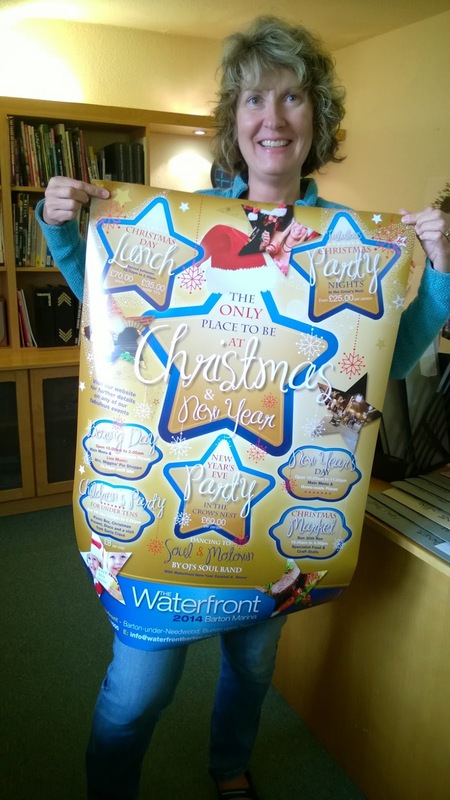 The Waterfront Pub is all geared up for the Xmas Party Season with some star-studded marketing collateral to boot! A1 posters and a very festive 10 page roll-fold DL Flyer. 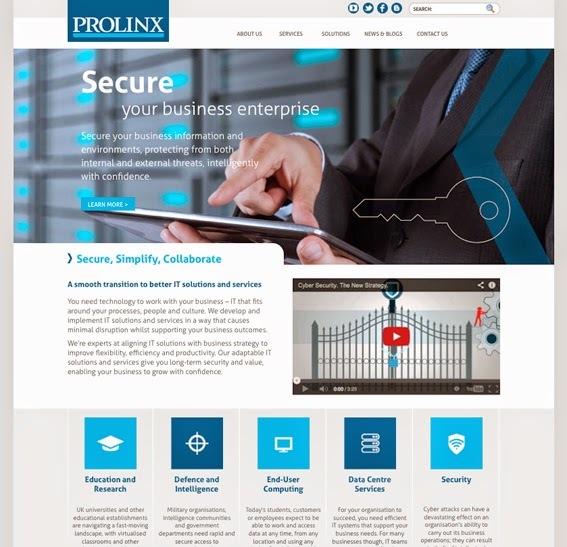 Professional and responsive, this sums up exactly what Prolinx is all about. It also describes their new website functionality which has been designed and built to respond to all browser types - be that desktop, tablet or mobile. In addition, the site has been developed to allow page editing via mobile devices as well as desktop PC's. At Parkhouse Evans we like to ensure that customers have the opportunity to work with best of breed service companies. Our partnership with CPB means that we can offer a full lead generation service alongside our own comprehensive range of creative services. CPB offer accurate lead generation services, such as telemarketing, nurturing and surveys. Prolinx are one of the first companies to benefit from this symbiosis - with CPB having helped in all aspects of this exciting project. Visit the live site here or if you have a project that requires lead generation please give us a call on 01332 291141 and we will be happy to advise. Kirk to Centerprise, beam me up! 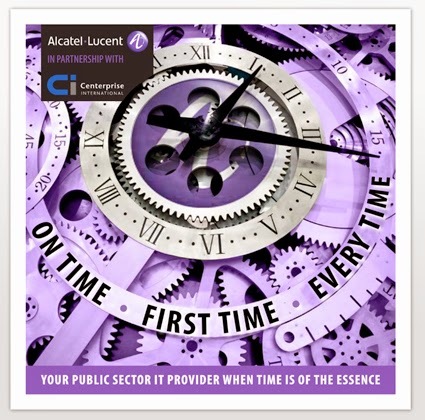 This rather funky eye-catching e-book was created to help introduce Alcatel Lucent Enterprise services to Centerprise's clients. Sounds like a mouthful, I know, but in principle its a great way of introducing a volume of complex information, in an easy to read way, to a large number of partners without the cost of print. Not only that but it avoids clogging up in-boxes with large PDF files too! 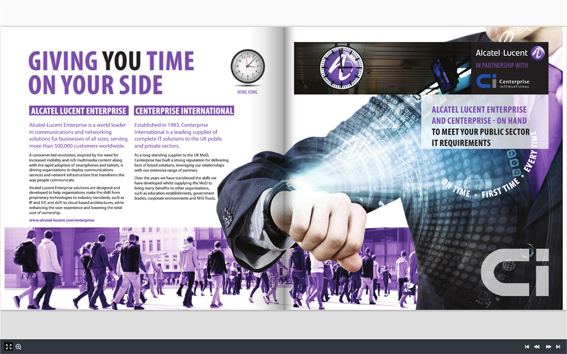 This on-line book was developed around the theme of "time" thus giving the services an engaging look and feel. The book has automatically flipping pages and can be viewed on virtually any web based device. To view the actual e-book please click here or if you you would like to add another dimension to your marketing tool box, please give us a call on 01332 291141 and we can show you how.